A Bicycle- and Pedestrian-Friendly Project Now Being Prosposed by INCOG and the Tulsa Health Dept. Aired on Thursday, August 20th. Tulsa Mayor Dewey Bartlett and City Councilors are seeking public input regarding how best to use a proposed renewal of the Vision 2025 sales tax for economic development here in our community. Several ideas have recently been put forth -- from funding for the Tulsa Zoo to enhancements to the Pearl District, from the purchase of the downtown Tulsa Club Building to refurbishment of the Gilcrease Museum and its buildings and grounds (to name but a few) -- and on this edition of StudioTulsa, we learn another such proposal. Specifically we discuss a $15 million proposal that combines transportation and public health, a far-reaching bike-and-pedestrian project that's been developed by INCOG and is now being both endorsed and formally proposed by the Tulsa City-County Health Department. Our guests are James Wagner, the Principal Transportation Planner for INCOG, which is the Metropolitan Planning Organization for the Greater Tulsa area, and Joanie Dotson, the Policy and Health Analysis Coordinator for Tulsa's Health Department. On this installment of ST, we speak with James Pepper Henry, who began his tenure as the executive director of the Gilcrease Museum about four months ago. As was recently reported by KWGS, Pepper Henry has requested $75 million out of a proposed Vision 2025 sales-tax renewal. The folks who bring you StudioTulsa have been on summer holiday for the first half of August. Here's a guide to the programs that we aired on ST on July 31st as well as August 3rd through the 7th, along with audio links (in case you'd like to hear any of these programs as a free, on-demand mp3 stream). 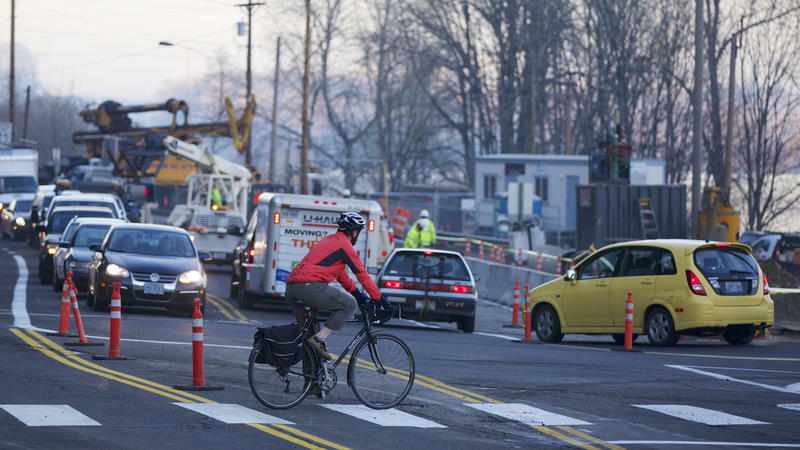 For the second-straight year, Washington and Minnesota took the top two spots on an annual list of states that are best for cyclists. But the League of American Bicyclists' rankings also show that no state scored higher than 67 points out of 100. Last on the list was Alabama, which has occupied the No. 50 slot in four of the past eight rankings. The state earned a score of 12.3 points. 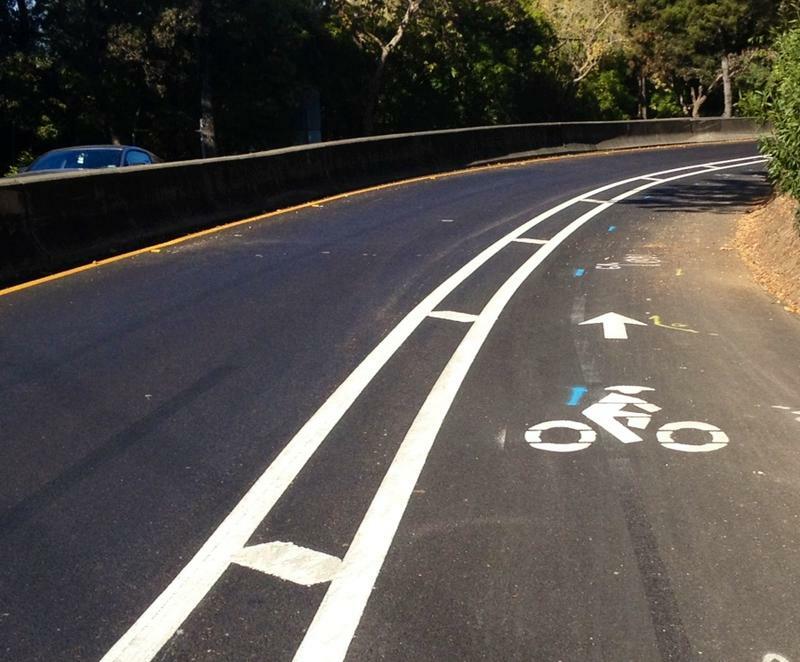 As bicycling goes, America is far behind Copenhagen, the promised land where roads look like bicycle highways as people pedal to work. 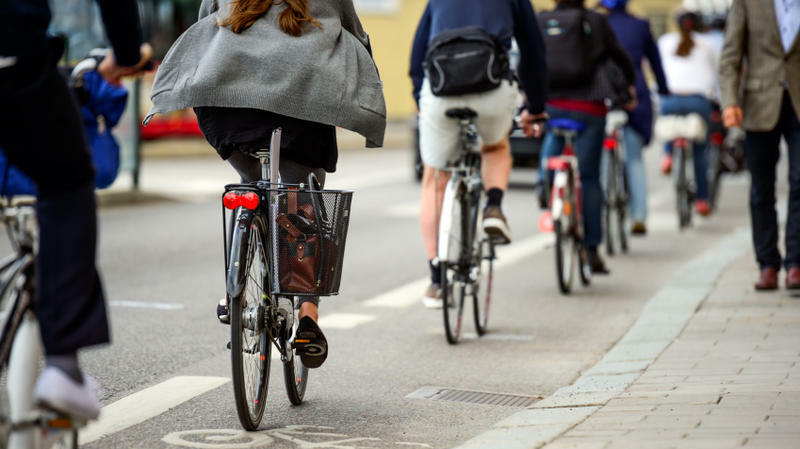 But commuting by bike in the U.S. is catching on — though geographic, income and gender disparities persist. BROKEN ARROW, Okla. (AP) — Broken Arrow police are searching for the driver who struck and killed a man riding his bicycle in an apparent hit-and-run. Police say the fatal collision happened Wednesday night on 101st Street South. Police say responders found an adult male lying on the side of the roadway. He was pronounced dead at the scene. 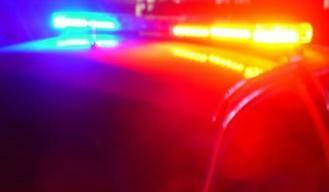 Authorities say the man's bicycle was outfitted with reflectors and a red flashing light. 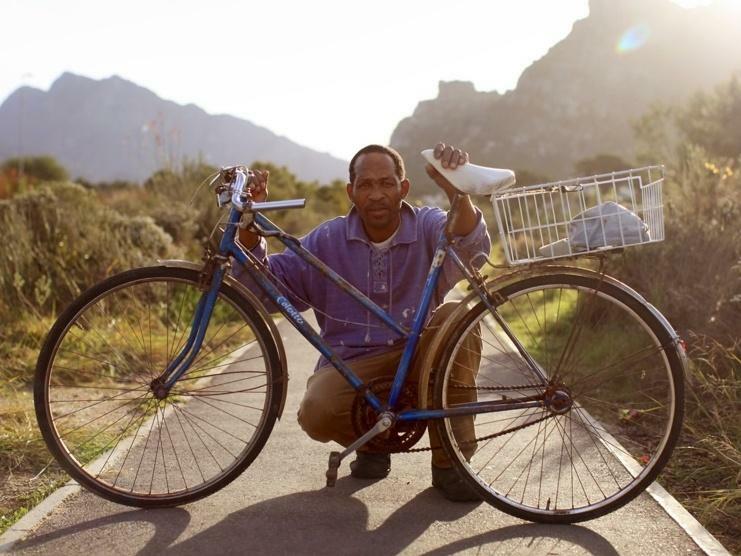 Bicycle Portraits: What Do Bikes Say About A Culture? I have to admit I was a bit reluctant when I first saw this series of "Bicycle Portraits" because biking has, in some cases, become something of a cliche steeped in hipdom sprinkled with granola. Or mainly: For NPR to present a series of bicycle portraits just seemed too cute, too predictable. 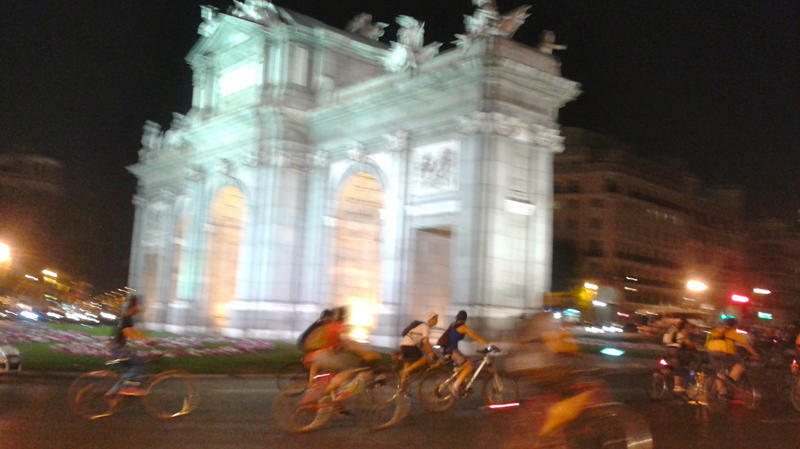 For the first time on record, bicycles have outsold cars in Spain. Higher taxes on fuel and on new cars have prompted cash-strapped Spaniards to opt for two wheels instead of four. 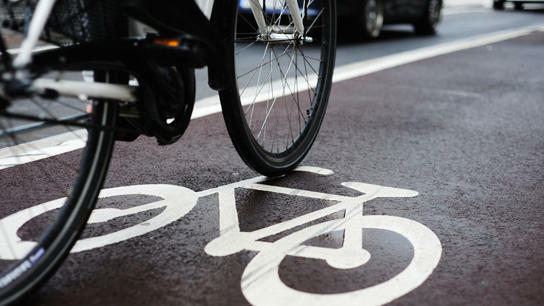 Last year, 780,000 bicycles were sold in the country — compared to 700,000 cars. That's due to a 4 percent jump in bike sales, and a 30 percent drop in sales of new cars. INCOG holds the first public meeting on its regional master plan for bicycle- and pedestrian-friendly development today at 5:30 p.m. at the TCC Center for Creativity, 910 S Boston Ave.
About 80 percent of Tulsans live within 2.5 miles of a paved trail, and James Wagner, INCOG's transportation projects coordinator, said they’re looking at the region’s 114 total miles much like a highway for the GO Plan. 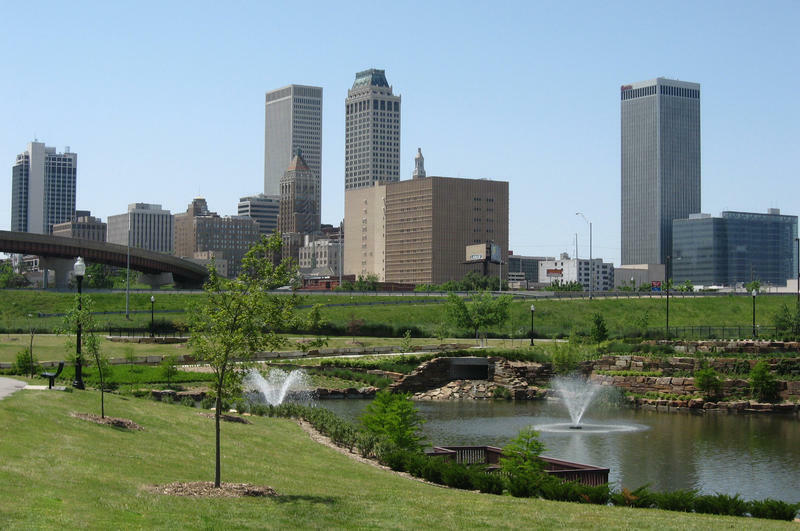 The Indian Nations Council of Governments (or INCOG) is a voluntary group of local and tribal governments in the Greater Tulsa community that offers planning and coordination services to help with such ongoing Tulsa metro-area challenges as land use, transportation, community and economic development, environmental quality, public safety, and services for older adults. Last year, INCOG put forth a mass-transit master plan, and now --- in an effort that will roll out next week as well as later in the spring --- INCOG is offering a bike-and-pedestrian master plan.